Microsoft has been rather sneaky with Office 2016. 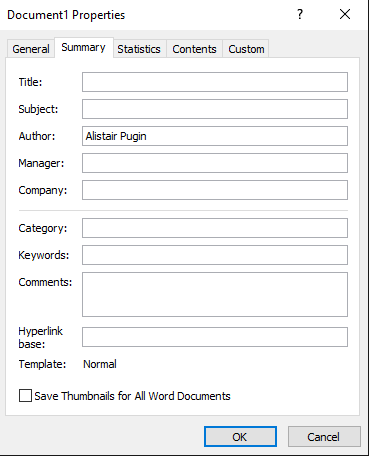 The Document Information Panel that links Content Type Columns directly to any Office 2016 product, be it Word, Excel, PowerPoint, is GONE!!! So you no longer get the drop down. And that means that you don’t get the panel to populate all your metadata either. All scream together “Whaaaaat Now??”. Enter the ECM Ninja. Do not fear the loss, as it is not really gone. The default Advanced Properties box, looks like the 2013 version. Pretty standard, but what they do not tell you, is that it’s hiding what you are looking for. I can hear you say, “All lies, its is gone, we are doomed!”. Nothing is every really gone, that’s why you should always use a drive scrubber if the Police wants your PC. So, how do we resurrect the now defunct, Document Information Panel?? Psyche, I got you to look… Its not there either!! Ensure that there are required fields, Not only “Title” (Because that’s the magic method to get the metadata back, silly) The mind boggles at Microsoft for doing this! Let’s have a look at what that does. 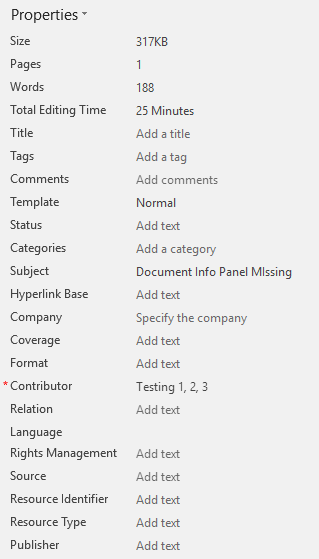 Now, if you have Content Types enabled, and you now decide to change the columns to required, so that it shows, well the theory is kinda daft, which leads into why Microsoft removed the Panel. If the metadata was not that important to begin with, then surely, you shouldn’t see it, duh! Logic dictates, but if you find yourself in the predicament, and you do update the content type in a library with documents, Word will let you know that stuff is missing. By clicking the “Edit Properties” button, presto, faith in Microsoft, and your sanity restored. Just look at that! Its there. And the crowd goes wild!! So, go play around with what you can achieve. 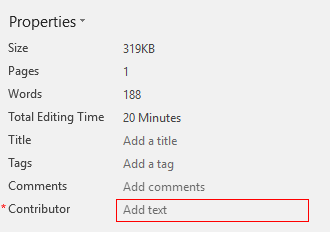 What i don’t like is that there is now no differentiation between the default document properties and properties that are linked to your SharePoint content types. Also, you need to click on the “Show All Properties” to even know about the other columns. 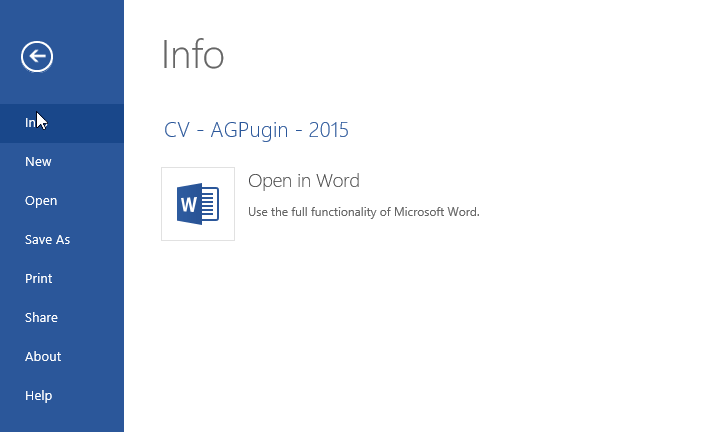 And don’t bother with Word Online as most of the features in the Windows App does not exist online. And there you have it. 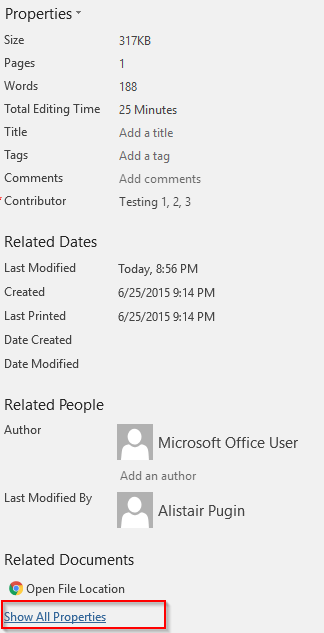 AND Office 365 does ship with Office so sometimes, like now, i’ll post about Office specific items.